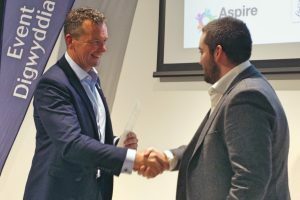 The collaboration between Sean Holley Sport & Media and Swansea-based digital learning company Aspire2Be goes from strength to strength. Particularly with the innovative iBroadcast project devised to enhance self confidence and develop communication, oracy, digital competency and leadership skills. 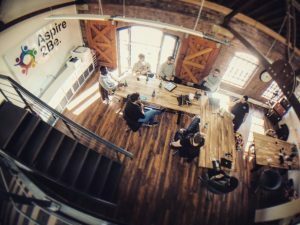 The most recent iBroadcast to be completed was in conjunction with Swansea University’ Employment Zone, with the aim to enhance students job prospects, bolster their CV’s and provide them with the opportunity to gain some valuable experience from experts in the the field of media. 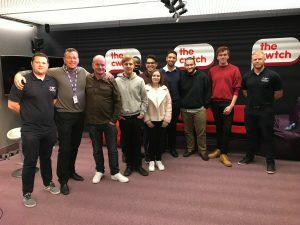 This particular iBroadcast gave the students the opportunity to meet BBC Wales Scrum V Producer Craig Withacombe and gain expert tuition from Sean on broadcasting, the technical support from Aspire2Be and an editing masterclass from Adam Amor of Buffoon Film & Media. The students also got to spend a day at Nation Radio for the recording of the Sony Award Winning Rugby Nation Show. 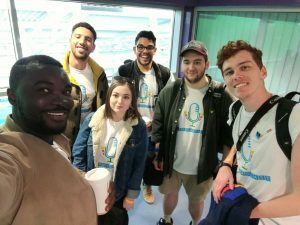 This particular project was based around the Varsity 2018, a sporting competition like no other across 40 sports pitching Swansea University against rivals Cardiff University. The event culminated in a mens rugby match played at the Liberty Stadium, Swansea. 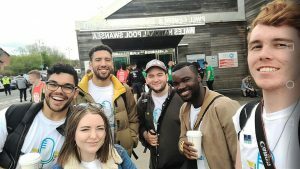 The Swansea Uni EZ students were challenged with producing a documentary-style promotional video for Varsity. They assumed a number of different roles in the final production of the film including presenting, interviewing, filming, voice over, editing, script writing and research. 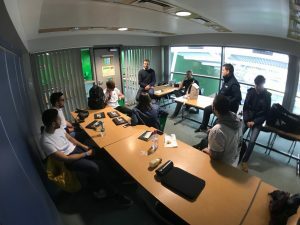 The successful students were awarded with certificates and vouchers on completion of the task and also given work placements with Sean Holley Sport & Media as prizes plus the opportunity to tutor on more up and coming iBroadcast projects in the near future. To watch their final production in its entirety go HERE.